It seems like every few years a new sugar alternative hits the market. People who like their sweetness to be “calorie-free” rush to buy up the local supermarket’s stock and eagerly tout the benefits of the latest and greatest sweet invention. If you remember, about a decade ago sucrolose (aka Splenda) gave Sweet ‘n Low and Equal a run for their money. Then along came Agave nectar, which received a “health halo” from a lot of people, despite the fact that it is nearly all fructose and may be worse for your health than table sugar or high fructose corn syrup. Most recently, another non-sugar has made a splash in our coffees. Stevia (sold at health food stores as Truvia, PureVia, Sun Crystals, among others) is made from the sweetest part of the South American Stevia plant. The human body cannot use these Stevia glycosides as fuel which means the calorie and carbohydrate count is zero. It also is 200-300 times sweeter than sugar. As with any new product, there are a lot of questions that people like want answers to. So let get to some of those questions and start baking with Stevia. 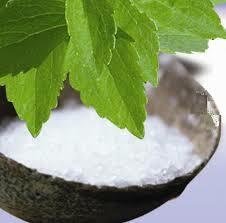 Stevia has been used safely for a long time in South American and Asian countries. Stevia has been the subject of quite a bit of rigorous research assuring the safety of the sweetener, and has been approved by the FDA. It has been thoroughly tested in dozens of tests around the world and found to be completely non-toxic. It has also been consumed safely in massive quantities (Thousands of tons annually) for the past twenty years. For myself, I intend to use the product with both confidence in nature and respect for the healthy moderation and balance which nature teaches us. Unlike saccharin or aspartame, which denature (change molecular structure) under high heat, you can bake with Stevia. However, since Stevia lacks the same properties as granulated sugar, some bulk must be added when baking with Stevia to serve the same function as sugar. For example, Stevia alone cannot soften cake batter, caramelize, enhance browning, or facilitate the fermentation of yeast. To bulk up the Stevia, you will need to replace 1 cup of sugar with 1/3 cup of bulk. Let’s look at couple of examples to make sure you understand. Example 1. Let's say you plan to use apple sauce as your bulking agent when baking with Stevia. In this instance, you would use 1 tsp. liquid Stevia plus 1/3 cup apple sauce to equal 1 cup of sugar. Example 2. If you're already making something that contains a bulking agent, for instance banana bread, you would use 1 tsp. liquid Stevia plus an extra 1/3 cup banana puree to account for a cup of sugar in the recipe. I've used processed raisins and dates as a bulking agent (raisins or dates zapped into grainy crumbs in my food processor) with success. They add subtle sweetness and texture. 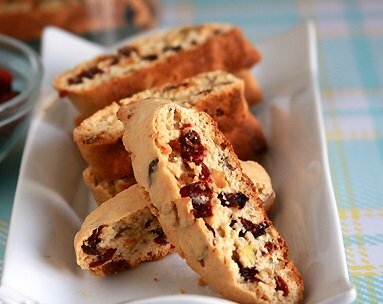 Or you can try using a combo of processed raisins and coconut in place of sugar when baking with Stevia. Add a touch to to boost the sweetness. This will change the flavor of the finished product so you might need to experiment for find the right taste combination. Tip: When baking with Stevia,reduce the pan size called for in the recipe by about 15-20%, for example from a 9-inch square pan to an 8-inch square pan. *This table is just a guide to let you know how much bulk is lost, refer to the guide from the actual Stevia product you use as they vary in strength. If you are cooking something that is already sweet, these guidelines should l work just fine. However, if your recipe contains sour ingredients, such as lemons, lime or tart cherries, you may need to add a bit more Stevia. Just be cautious in adding more Stevia by starting with ½ tsp. 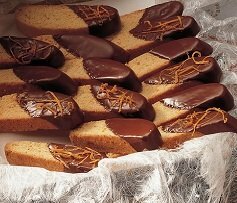 of the liquid and adding gradually until you reach the desired sweetness. If you plan to use Stevia by the teaspoon, you can, of course, use the liquid Stevia concentrate, but bear in mind that it is very sweet. You may want to start by putting a bit on the end of your finger and tasting the sweetness to gauge how much to use. Since Stevia is so concentrated in powder form that small amounts are difficult to measure you may want to make your own solution by dissolving 1 teaspoon of powdered Stevia in 3 tablespoons of filtered water and place it in a dropper style bottle. Alternately you can buy liquid Stevia. Another option that works really well unless you are trying to eliminate sugar all together is Stevia baking blends (like Truvía® Baking Blend). 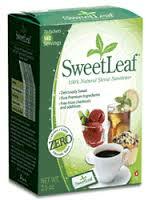 Which combine Stevia with sugar for use in baking your favorite recipes with 75% fewer calories than sugar. So you get much less sugar without losing the texture or sweet taste you love. By using half as much Truvía® Baking Blend as you would sugar, your treats stay scrumptious, while letting go of unwanted calories. And everyone you’re baking for stays happy. What can’t I do with Stevia? Stevia does not caramelize as sugar does. Meringues may also be difficult since Stevia does not brown or crystallize as sugar does. The bulking agent you use might not substitute for the browning power of sugar either. So if browning is important to the texture and taste of the finished good, you may need to leave half of the sugar in the recipe. Any tips for baking with Stevia? Use these tips to convert recipes to Stevia. Read the ingredients, in the recipe you want to use, to determine how much sugar the recipe requires. For every 1 cup of sugar, use 1 tsp. of liquid Stevia, according to Stevia chart. For example, if your recipe calls for a 1/2 cup of sugar, use a 1/2 tsp. of liquid Stevia in its place. Use a dropper when replacing amounts that are smaller than 1/4 cup. For example if the recipe calls for 1 tsp. of sugar, add 2 to 4 drops of liquid Stevia. Start with the smallest amount. Taste for sweetness before adding more drops. Add 1/3 cup your choice of bulker to the recipe to replace the lost volume from the sugar. When making your substitution, bulkers can include fruit juice, water, and egg whites. They should be mixed into the recipe for every 1 cup of sugar that is replaced by Stevia. Other bulkers that add a more substantial bulk are yogurt, apple sauce, apple butter or any pureed fruit, but be sure to use something that compliments the dish. Do I need to add a bulking agent for substituting stevia for less than a cup of sugar? Say a few tablespoons? 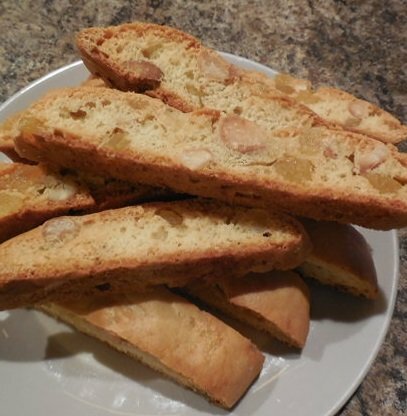 Sugar Free Biscotti Recipe Colleciton.